Day 57—28 December 2011 vin de primeur: wine that is drunk the same year the grapes are picked This Beaujolais Nouveau was a gift from Wendy and Jon. 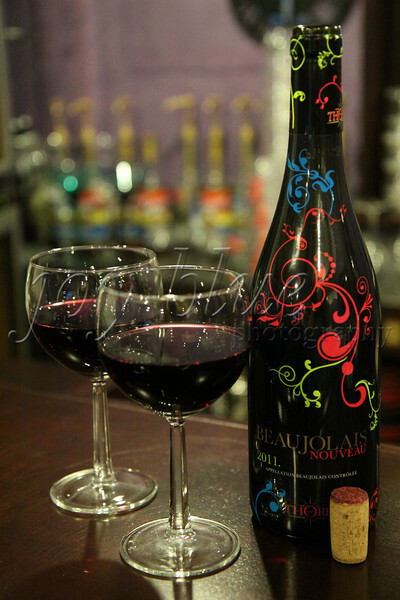 I had never heard of the ritual before; so, I studied up (http://www.guardian.co.uk/lifeandstyle/2011/nov/16/beaujolais-nouveau-celebrates-60th-birthday). Huh—you learn something new every day! © 2010-2019 Debby Brauer. All rights reserved.